Welcome to my Proximity Review! You will get answers to the below questions and also more detailed & additional information on Proximity which is not available in their sales page. I hope this review post will help you in your purchase decision. Is it possible to earn $174 or more per day on autopilot? Is it truly a ‘set & forget’ profit system – set things up ONE TIME, bank ongoing passive income? Is it completely beginner friendly – no skills or experience needed? Is Proximity legit or scam? Before we dive in to find answers to all the above questions, I would like to introduce you to my FREE GUIDE “A Beginners Guide To Making Money Online – Be Your Own Boss!“. Anyone can build an online business from home by using my FREE make money online Guide, because it shows you how to turn your interest into income. Creators: A Team of 2 Product Creators – Anthony Mancuso and Paul Nicholls. Product Type: Ranking niche sites for Local Marketing using “Near Me” Plugin. Summary: This is all about promoting services near by the customer area using small niche sites with the help of “Near Me” Plugin. When it comes to the make money online products there are 3 types of products, one is genuine & great products, second is okay kind of products which under-delivers what they promised and the third is the scam products. Its really hard to find the genuine ones which are very less. People keep on searching for make money online products on a daily basis on Google and fall as a victim to many scams and products which under-delivers. Oops, you can’t find the exact answer in their sales page. 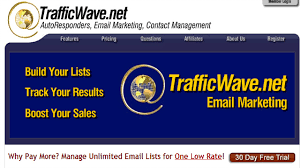 All they repeat is they have found a free traffic source via which you can monetize your website or earn money. They’ve Cracked The Code To Fresh, Targeted & Top-Converting FREE Traffic and this Goldmine of a traffic source is growing at over 200% per year. To make it simple, its all about building niche sites for Local Marketing using “Near Me” plugin (Near me Electrician, Near me Dentist, Near me Plumber, Near me restaurant, Near me clothing stores etc.,) and monetizing it using pay per call, CPA offers, Google Adsense, and Clickbank. Anthony Mancuso and Paul Nicholls are well known internet marketers and product creators. Mr. Anthony Mancuso is a successful full-time internet marketer and an SEO expert (Before he was an electrician). He lives in Haderslev, Denmark. Mr. Anthony Mancuso is having his own courses, training & coaching programs. He does have a blog and a youtube channel in which he reviews make money online products. Mr. Paul Nicholls served 6 years as a radar operator and then worked as a carpenter for quite a few years. He is currently living in a small town on the east coast of the UK. He is a successful internet marketer and launched many products. 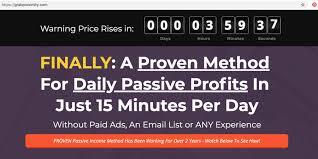 Fast Cash 5, EZ Passive Paydays, Profit7 you can click on the product name to read my reviews. You can make money, easy steps to follow, never seen before method, free traffic, money on autopilot, just 15 minutes per day, beginner friendly – no skills or experience needed etc,. is all what you can find in their sales page. I will show you what you will learn from this product and to be honest they do provide helpful and lots of information. $21k in 12 months (I have embedded this case study video below, watch it you will get an idea, its a short video only 3.03 minutes only). This look around would have given you an idea on what you will learn from this product. Also you can check the below case study video which will give you helpful insights. STEP 3 – PROFIT: enjoy free traffic & passive profits 24/7, then rinse & repeat to scale up! Sounds great right? Actually finding the near me service is a great idea and I like it. While watching a movie many times we feel the story plot is amazing but the screenplay is not good it would have been even better, I feel the same for this product. Great idea but the product is not detailed and not covering all the required things. As I mentioned you need to create a small niche websites 3 to 4 pages and add their near me plugin. Then provide with the phone numbers of the service customer is looking for and when the customer call the service you will be paid “Pay per call”. In order to get the phone numbers of the services you need to contact the pay per call networks and you need to be approved. Also you can monetize your small niche site with Google Adsense and affiliate offers. I hate upsells and if there is upsells to the products means in my opinion the product is not complete. You might have noticed even before entering into the members area you will be pushed to buy the OTO products with many make money online products. They will tell you with these OTO’s you can save time and succeed fast. Its really hard to earn money with the 3-4 pages website. Without regular and more quality content its not easy to be approved by Google Adsense. It will take time and effort to earn money online. Just 15 minutes per day and earning within 24 hours is really hard to digest and its not possible for everyone or not possible for many. For those who are interested in local marketing and personally I don’t think this is going to be a complete product for newbies. 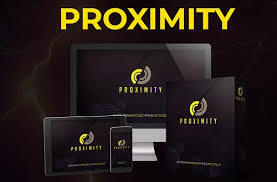 No, Proximity is not a scam and they do provide helpful information with their training but its not complete and its not good enough according to me. Many are earning a full-time income from Affiliate Marketing and Google adsense is one of the best way to monetize your website but both needs a lot of work to generate the reasonable income. It take time, effort and work to succeed online. You can learn more about Affiliate Marketing properly and completely and build your long lasting online business. I have reviewed 75+ make money online products in this website and I am in this make money online niche since 2008. I tried many programs and lost a lot of money. Finally I discovered the proper and best way to earn money online. You can save your time by learning from my mistakes and taking my advice. If you are really serious and ready to invest your time, effort and money for sure you can succeed online. It will take time and effort to make money online! Need help with anything I discussed here on Is Proximity A Scam – Is It Possible To Earn $174 Or More Per Day? Its really hard to earn $174 within 24 hours that too just spending 15 minutes a day. The problem with the testimonials and many reviews is they just promote the product and not worried about giving a honest review. Thank you so much for this information. I learned a lot about reading this article. I think they should have many skills if they want to do any online activity. Because there are many types of scams online. And if people who do not know those, who do not have experience, They cannot earn money on the first day if they come to work online. And I got to learn and learn a lot, in your link which you gave us in your article and I got a lot of ideas. Today I read the best article. Indeed, because of the increased number of make money online scams and programs which under-delivers we need to do some research before buying any make money online products/programs. Newbies when they see that they can make money ($174 with 24 hours by just spending 15 minutes) they are attracted to it. Many of us are not ready to work hard or invest time in business we want immediate results and success which is not going to happen. Its not you will receive call, you will be paid for every call made from your website (To the phone number you displayed related to your niche on the your site) to the pay per call network or to the service. Hope this helps. I viewed your website ‘Be your own Boss by Blogging’. I got into the L O N G page, but you have everything there. No need to ask for the booklet! I used canvas to write my pages too; and buttons and scroll-up effects to get around. I feared that I wasn’t getting comments, so I included a comment page to expand my dance with google. I liked you back-story, as it showed your road worthy mentor. Bookmarking your site, will give me the opportunity to read everything you had to say on the subject. The quotes are refreshing and I’m glad you dropped a few here and there. You are an inspiration to me and other bloggers. The real pleasure in life is in helping others! Thanks for the encouraging comments. All I am trying to do with my reviews is to save people time, trouble, effort and money. Thanks for sharing this article. From your article I have finally figured it out how the Proximity really works. You have described modules, how the Proximity work by- step by step and all those pros and cons were really helpful. And the beat part you have mentioned to take a lesson from your mistakes and asked is to take your wise advice. Again take my cordial thanks for this important article. I am happy to hear my review post is helpful. Indeed, the best way to avoid mistakes is to learn from others mistakes and not doing it. I’m definitely going to check out your “Free Make Money Online Guide”. Due to circumstances I’ve been researching many different ways to make money online and I have been looking at tools that would make it possible, but it’s been difficult figuring out whether certain tools are legitimate or not. Thank you for the honest and clear review on Proximity. I hope my “A Beginners Guide To Making Money Online – Be Your Own Boss!“ will give you helpful insights. Indeed we need to have helpful tools in building our online business to save our time and there are genuine and helpful tools.